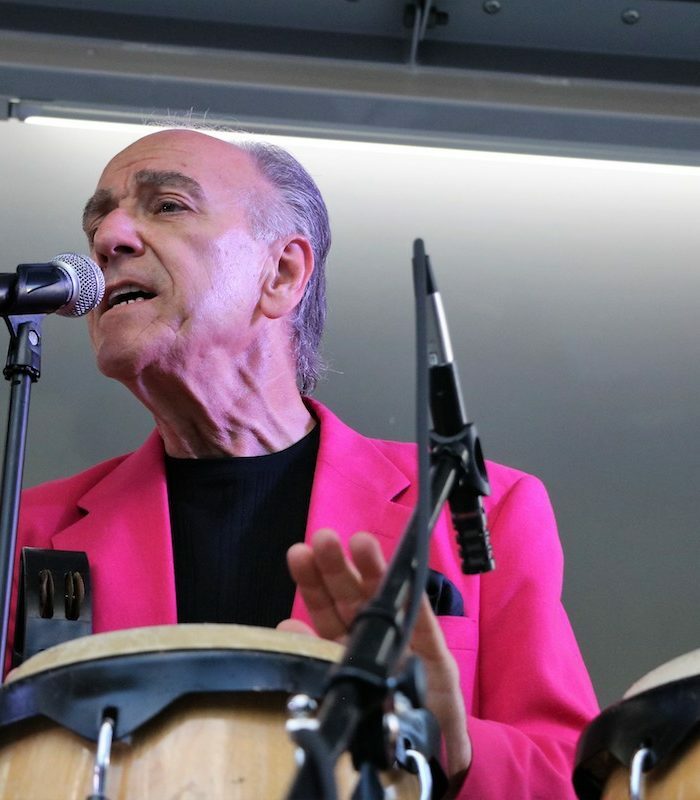 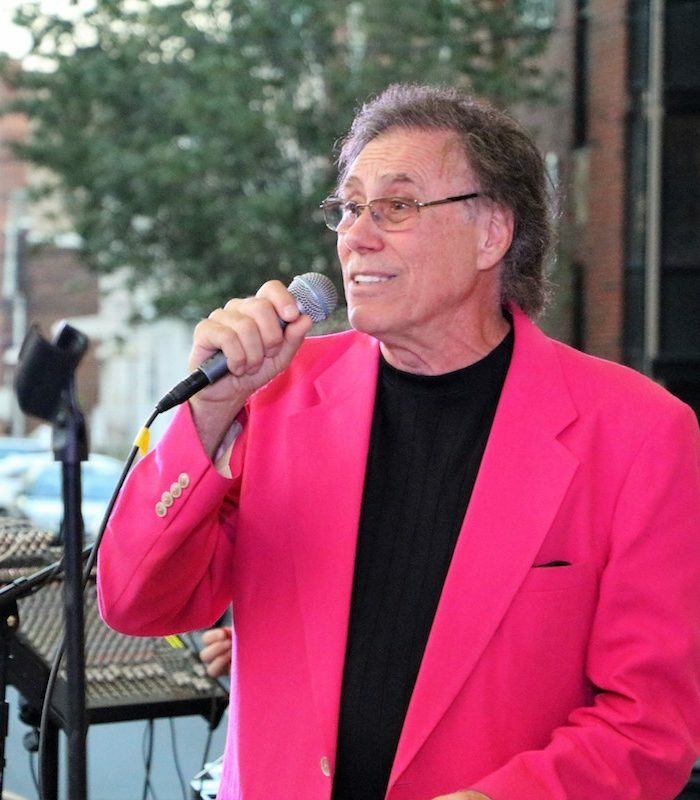 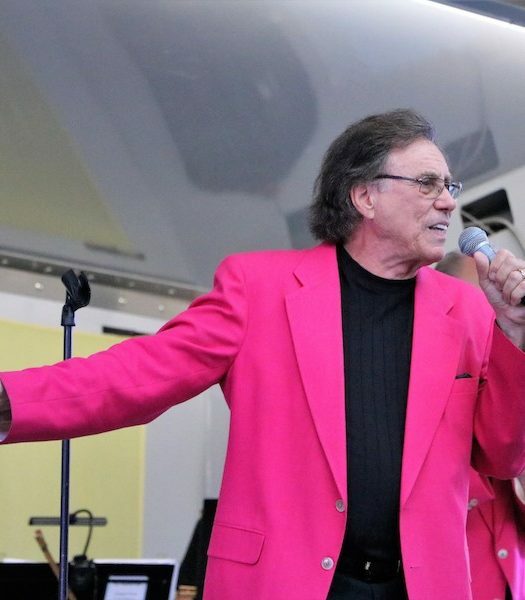 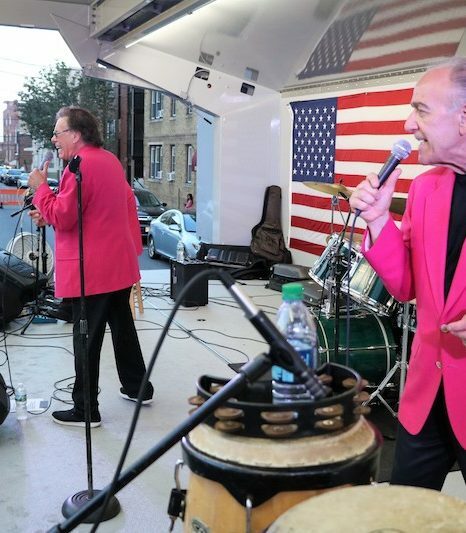 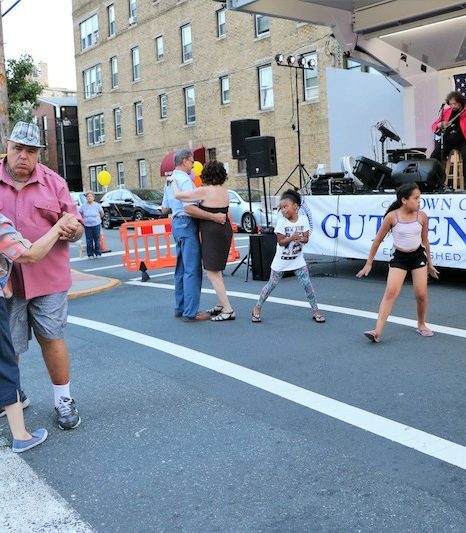 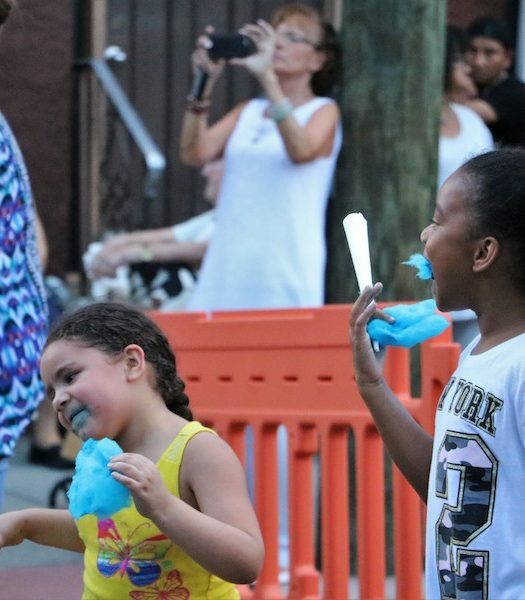 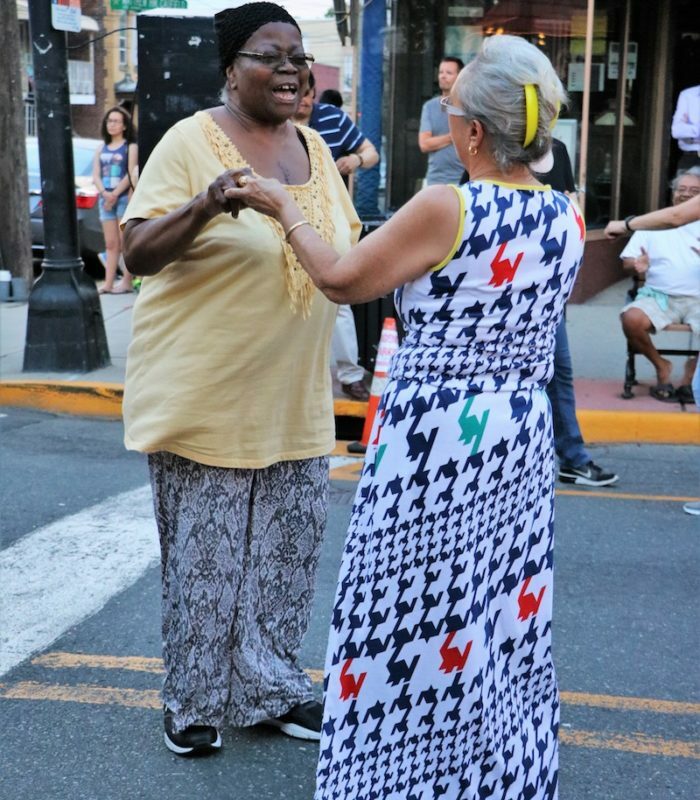 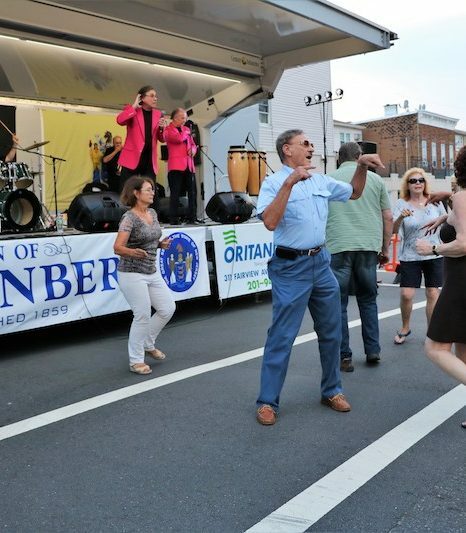 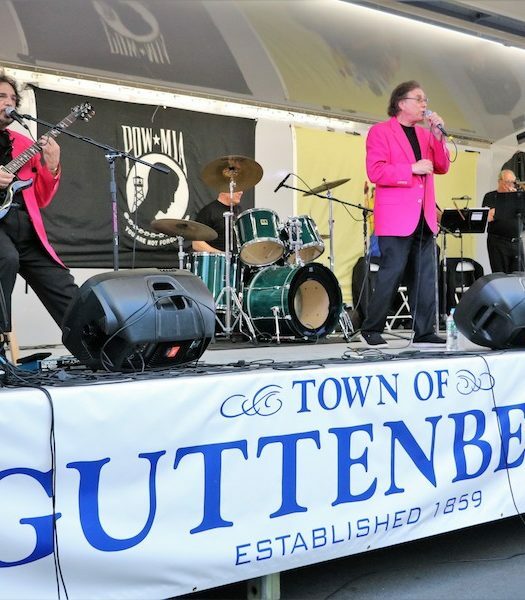 Guttenberg took a trip back in time on Tuesday, July 10 when hit-making 1960s vocal group The Happenings brought their smooth multi-part harmonies to Park Avenue for a free concert recalling the heady days of love beads and sunny 45 RPM pop singles. 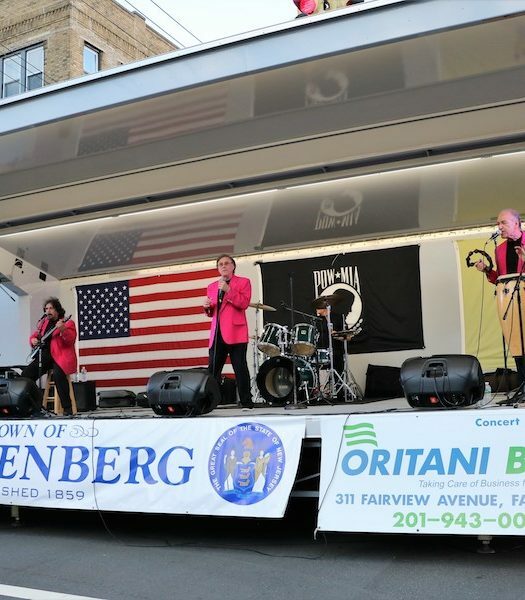 Local Jersey boys made good, The Happenings topped the international charts numerous times with monster hits like “See You in September” and “I Got Rhythm,” and on a big stage at Park Avenue and 68th Street they offered up vibrant versions of all their classics, as well as favorites from their friends and stage-mates The Beach Boys and other singers from across the ages. 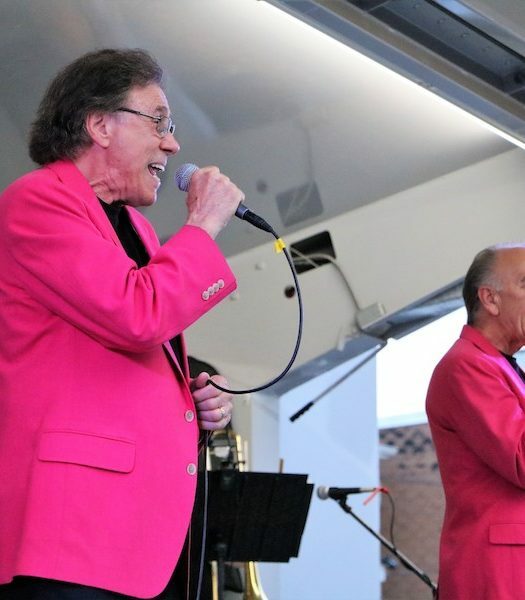 From Frankie Valli & the Four Seasons and the Righteous Brothers to a finale show-tune medley from West Side Story and The Wizard of Oz, the group had the audience up on their feet, slow-dancing to ballads and frugging to the sounds of surf rock. 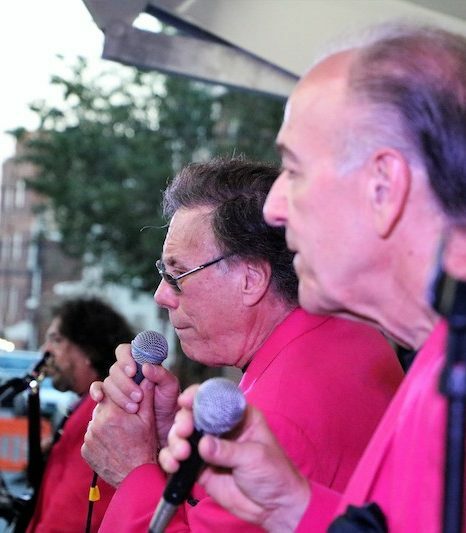 And it wasn’t just the sixties survivors out dancing in the street. 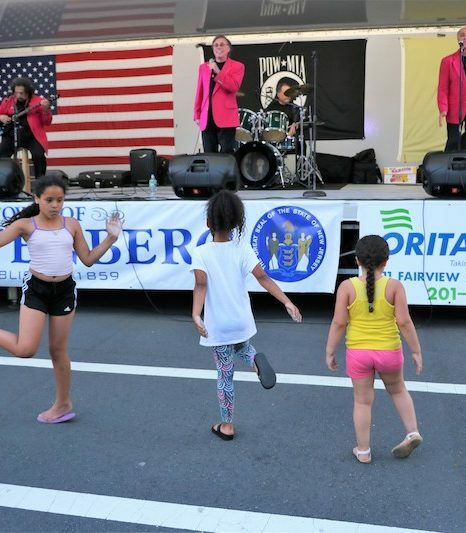 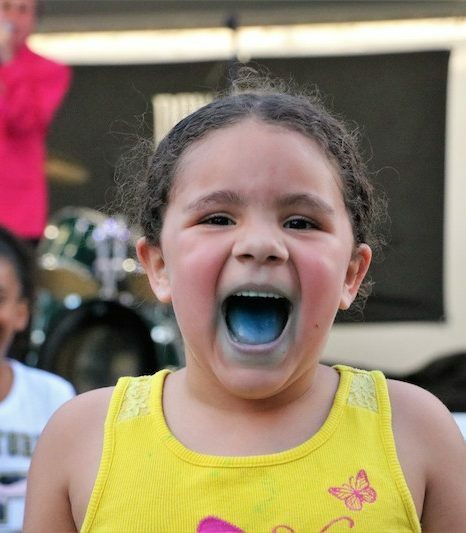 Even little kids with cotton candy-colored lips were throwing themselves around exuberantly in front of the stage to the catchy pop nostalgia. 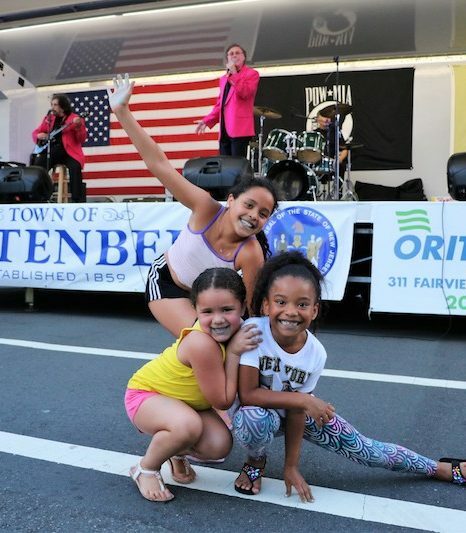 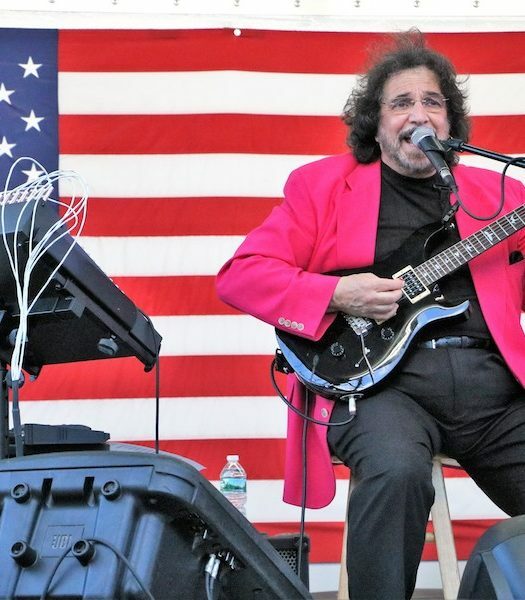 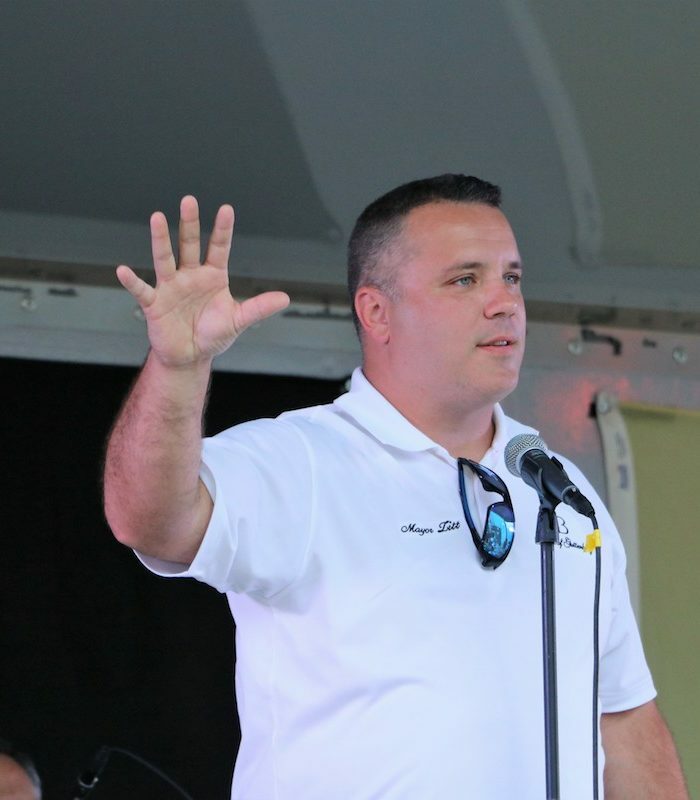 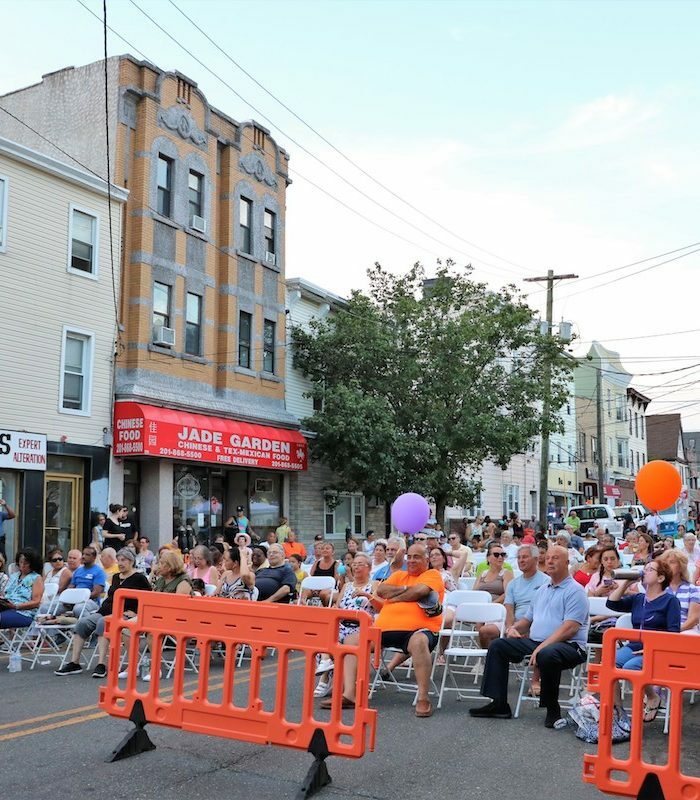 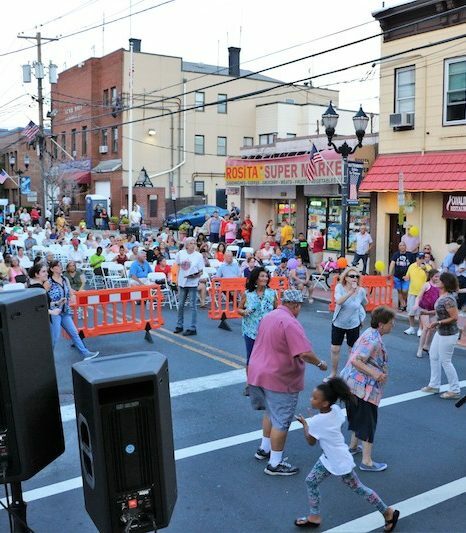 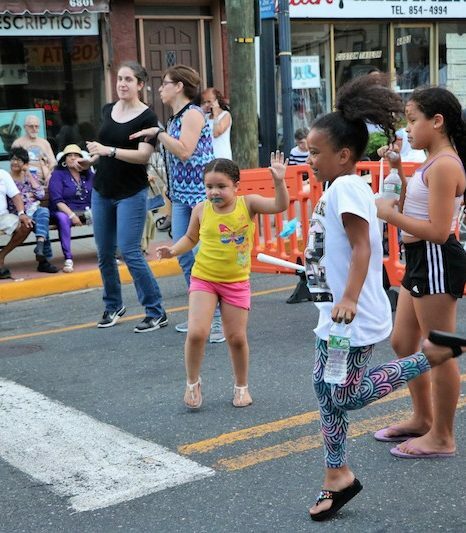 The Summer Concert Series is presented by Mayor Wayne Zitt and the Town Council, and programmed by Public Safety Director Joel Magenheimer, with assistance from many other town departments and volunteers.